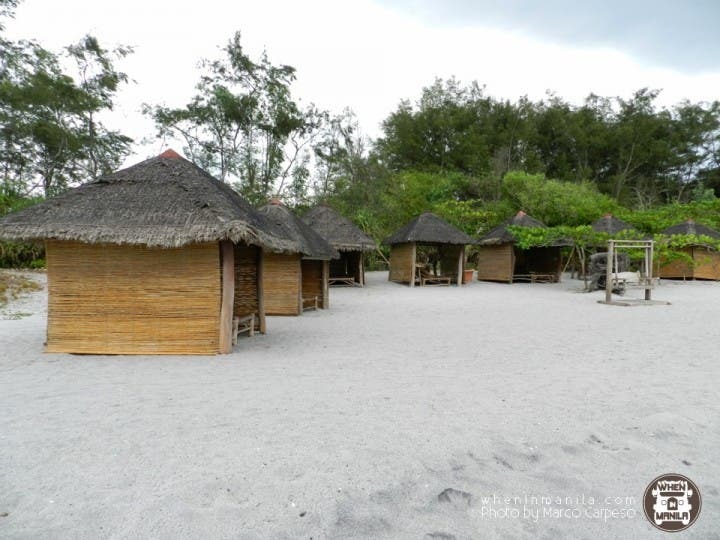 Located in the quiet town of Cabangan in Zambales, Macampao Beach and Leaisure Farm Resort is originally just open for big groups who are looking for a place to relax or for team buildings. But now it is open for individuals and small groups, too, that are looking for a place to relax and enjoy life by the beach. Just a few towns before Iba, Cabangan is one of those little towns that you may have passed by. 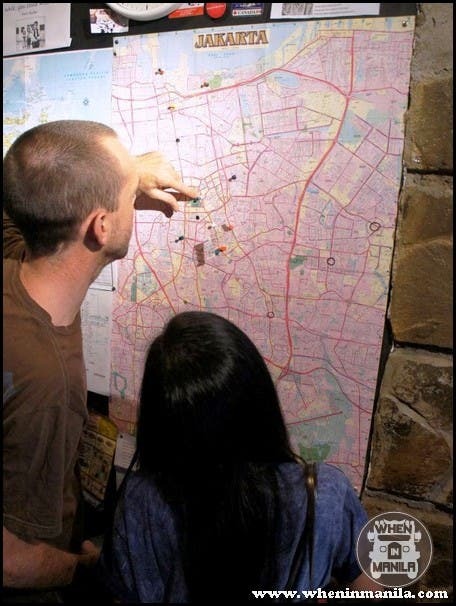 There are not much commercial stores around, but the very friendly locals will help you find your way around. We opted to commute to Cabangan, so we took the bus to Iba and asked the driver to drop us off at Cabangan. We were then picked up by a tricycle to bring us to the resort. The bus ride was around 3-5 hours and the tricycle ride was around 15-20 minutes. Travel time will significantly reduce if you can bring your own vehicle, of course. Macampao has lots of space for parking anyways. We were welcomed at the Dining Area where breakfast, lunch, merienda, and dinner are served. Cooking is not allowed for guests as the vicinity only has one kitchen area, but Macampao offers full-board meals for guests. This is perfect so you wouldn’t have to stress out and cook during your relaxing time at the resort. There are rooms in each house, on the other hand, can be rented out. And there are other common areas where you can read a book, play sungka or just lounge around. The property is so big that you can always find a quiet spot for yourself. The whole house was originally built for the owners, the Felix Family, for the sole purpose of quick vacations with friends and families. The house was built by them as well—with reclaimed wood which they got from old homes. 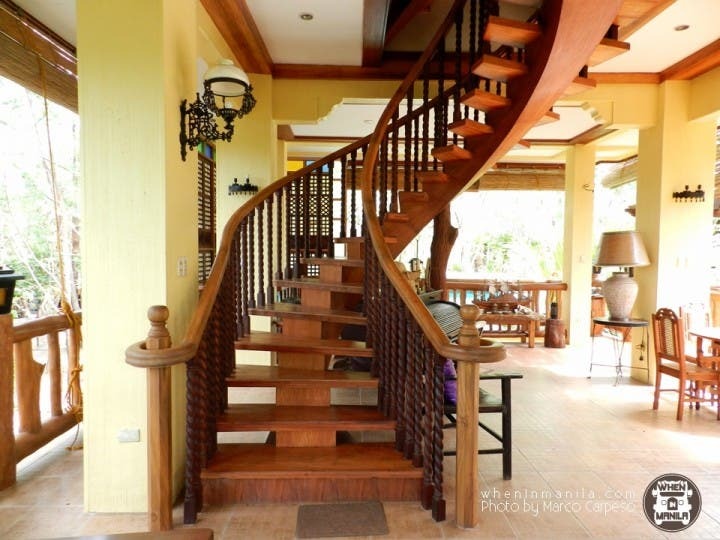 The furniture, flooring, walls, and this staircase are made from those wood which they carefully picked out. 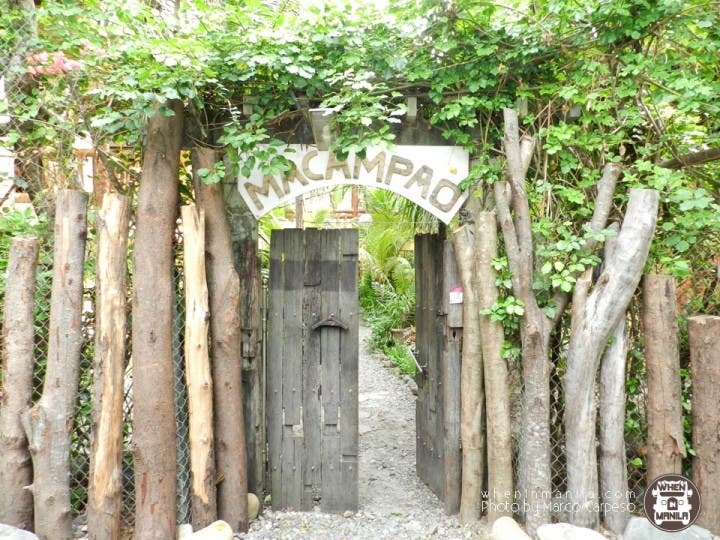 There are four kinds of accommodations at Macampao, depending on your mood or how many people will be sharing rooms. The whole property can accommodate up to 100 people, spread across different rooms. Casa Logoy are the rooms that face the view of the West Philippine Sea. It has energy efficient fixtures and rain water system. 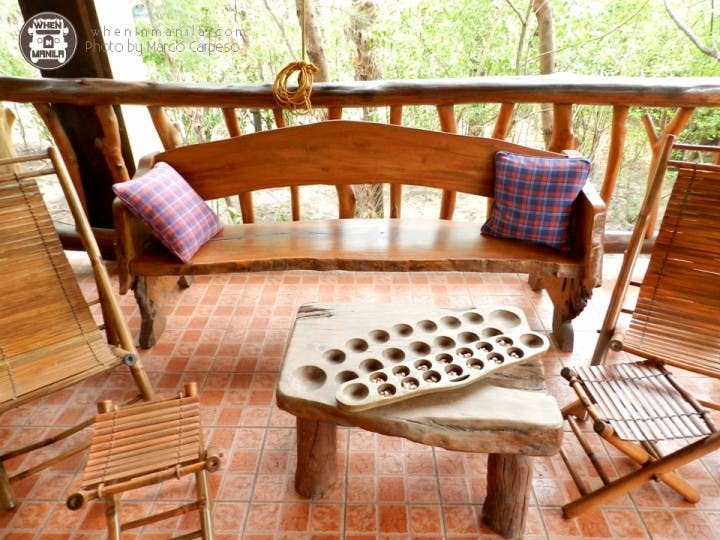 There are eight air conditioned rooms in Casa Logoy, all equipped with heater, king-sized beds, and wood furniture. The rooms have air conditioning, but the windows can be opened if the guest opts for fresh air coming from the beach or from the lush green trees of the farm. Hilid Salamin, from the name itself, are the rooms with ceiling to floor windows that gives a perfect view of the beach, the farm, and the mountains surrounding the property. Hilid Salamin has four air conditioned rooms where two rooms have joint toilet and bath. Each room either has one queen bed or two single beds. The rooms are very simple and is just above the restaurant and seating areas. Also along the hallway are some of the owners Family Memorabilias that tells the story of their ancestors dating back to the First World War. 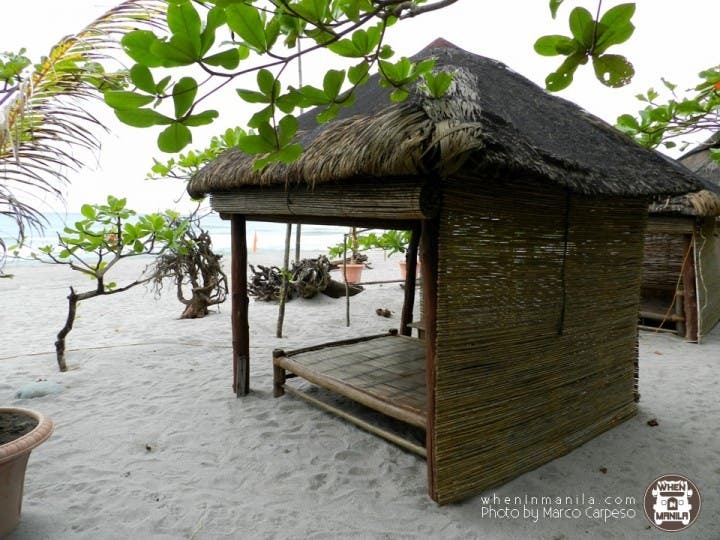 Cabanas de Ambay are the nipa huts by the beach. It is perfect for those who want to sleep with the sound of the waves lulling them. There are 24 Nipa Cabanas that either has a double bed or two single beds, each equipped with mosquito nets and reed blinds if you want additional privacy. Each cabana is prepared with with pillows, a blanket, a storage chest, and an electric fan for additional comfort. Most people who rent these out are more adventurous barkada groups, or those who want to be one with nature. If you want a more private escape, Bali Kugon is the tropical inspired house located on top of a waterway. It has the view of the fishpond and river. It is quite high up that you can see the whole property and the beautiful parts of Cabangan. It has an air conditioned bedroom den, non-airconditioned main bedroom and attic, bathroom with bath tub, dining area, living area, and a bar. Food in Macampao is fresh and delicious. All the food they serve are freshly caught or collected from the farm. The variety of food depends on what the catch will be or what they can get from the farm. They have fresh produce of rice, fish, and mangoes. The Farm has a fish pond where they get all the seafood they serve their guests. They make sure that the experience in Macampao is not just relaxing but healthy, too. If you have food restrictions, notify them as soon as possible so they can plan on what they will serve you. 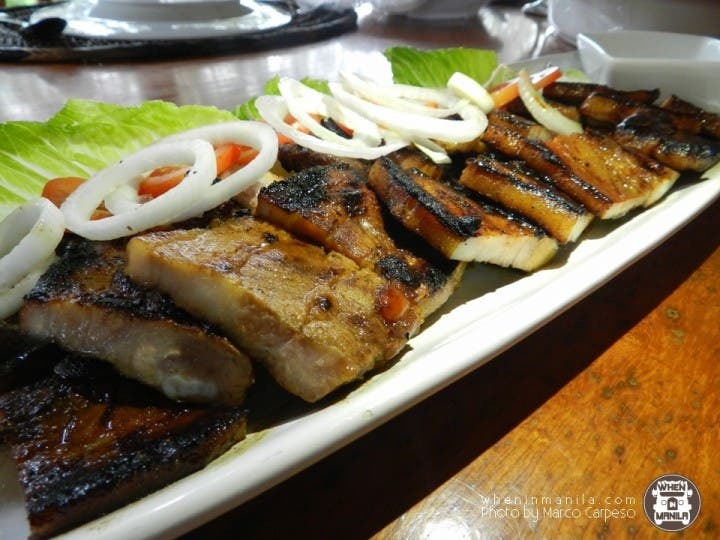 Other foods that are served are from neighboring towns are bagnet and longganisa. All fruits and vegetables are harvested from the farm and all meals are served with fresh fruits, mango shakes, calamansi juice (must try!!) and even watermelon dalandan shakes. See the Beach and the Farm on the next page! Book Your Next Malaysian Trip via Agoda.com’s Mobile App and Save Up to 60% on Accommodations!